This Spring, in Copenhagen, the new trend for fast transport to get around the city are battery-powered scooters. A couple of companies are providing the scooters that are hired through phone apps of course. There are two obvious problems that have to be sorted out. First, although many scooter riders stick to the bike lanes, many do not, and if the rider tries boarding tricks of popping up onto the pavement and off or weaving in and out of pedestrians then these things get up quite a speed and accidents are inevitable. The second problem - and already the cause of heated debate in the newspapers - is that the scooters, even when neatly parked, can be left and are left anywhere so can and do block footpaths. They are also just abandoned - as I spotted here last weekend - and this was not some disgruntled pedestrian moving a scooter out of the way - but a pond well away from the footpath. OK. Call me old and grumpy. smart city data in action ….. The 5C bus route through the city provides one good example of the use of smart data in Copenhagen. New buses were introduced on this major cross-city route last year. 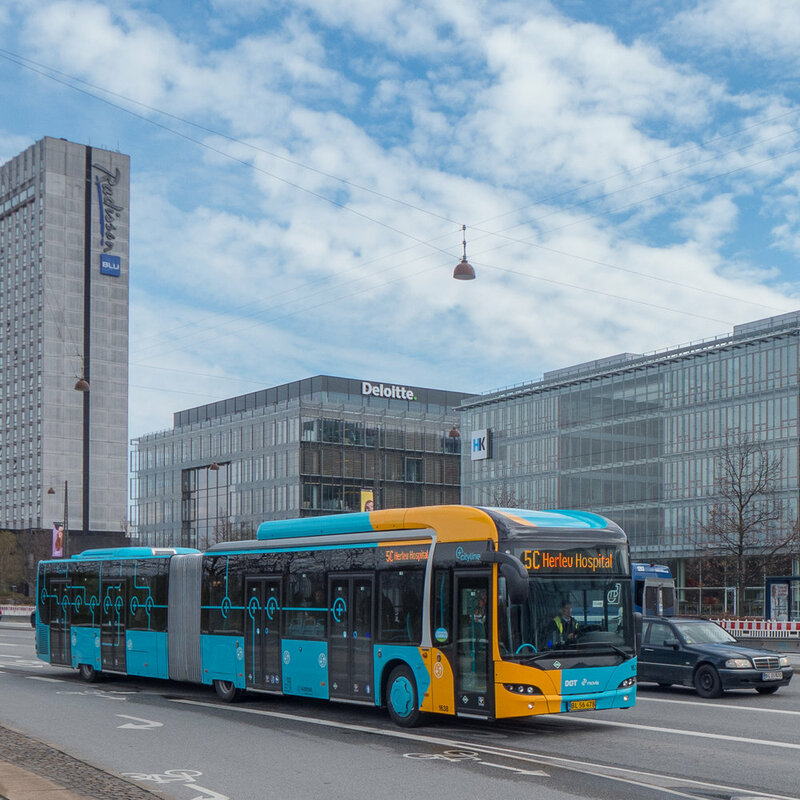 These buses cross the city - passing through the major transport hub at Nørreport, stoping at the central railway station and run out to the airport so it is crucial that passengers have reliable and up-to-date information. Displays at the bus stop show arrival times for buses approaching the stop - an information service already well established on other bus routes - but once on the bus there are side panels that show the next stop and route maps with information about changing to another bus service whose route intersects. 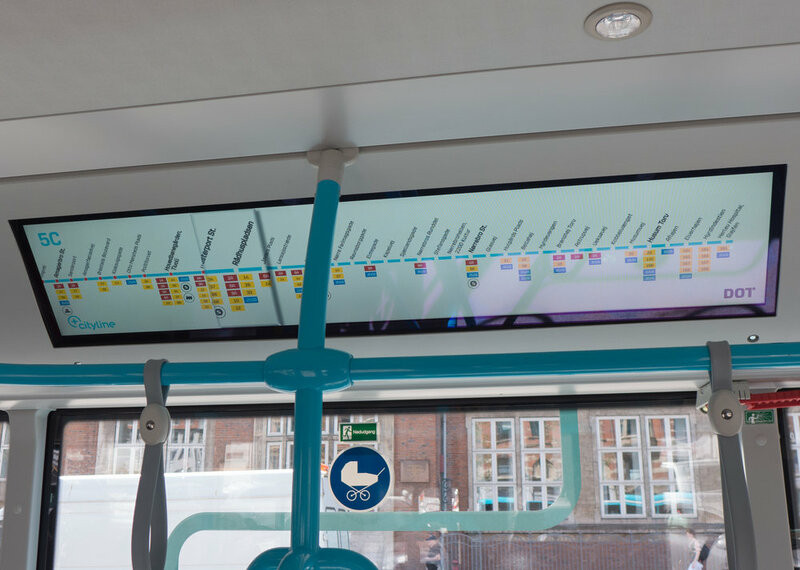 Large overhead displays updates to show clearly, for the next stop, times for buses on other routes and, as the bus approaches the central station, there is not just information about the next available train and the time of departure (updated in real time) but also the number of the platform where the train will depart. Passengers have access to the same data on their phones if they are planning their route ahead and phones, and for passengers travelling with a rejsekort or travel card, an app on a home computer records trip details for reference but also, of course, this data is available for the efficient management of the system. With the opening of a new circle line of the metro this year and with plans for a light railway, the system will, more than now, allow passengers to swap between different systems and data systems will make this as easy and as reliable as possible. A couple of trips out to Nordhavn recently meant an opportunity to look at progress on the new metro station at the top of Orientkaj. This is just beyond the point where the metro track emerges from underground and trains will move up onto an elevated concrete track. It is difficult to judge the design of the station but it is clearly very different from the well detailed steel and glass work of the stations on Amager on the two lines at the south end of the existing system. 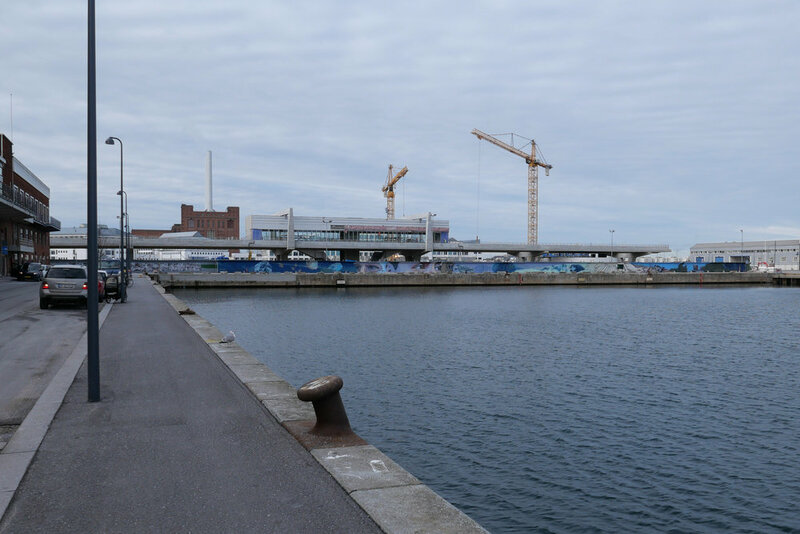 Here at Nordhavn there are hefty square concrete frames set across and supporting the track and what appears to be a large box or presumably a large container suspended over the platforms that is presumably a reference to the container port here. Just beyond the station, the elevated track stops abruptly but it should continue on to the Oceankaj Terminals where the largest cruise ships now dock. top left - view from the south showing the track from the metro rising up from underground just before the station. Tow views of the station from the Orientkaj and - bottom right - the view across the construction site from the west. Authorities in Schleswig-Holstein have officially approved the German part of the Femern link so work can now start on constructing a rail and road tunnel between Germany and Denmark. It will be an immersed tunnel - the longest in the world of this type - with the sections constructed at a new production site with dry docks on the Danish side and they will then towed out by tug and lowered into a trench across the sea bed that will be up to 60 metres wide and 16 metres deep. This is an amazing engineering project - the largest undertaken in Denmark - and I would recommend watching the video animation on the Femern A/S site to see how the sections of tunnel will be made and taken out to the trench. This is also, of course, a major design project that requires expertise in road planning and for the design of infrastructure at each end and there will be an important design project for the operation stage for signage, marketing, branding and so on. 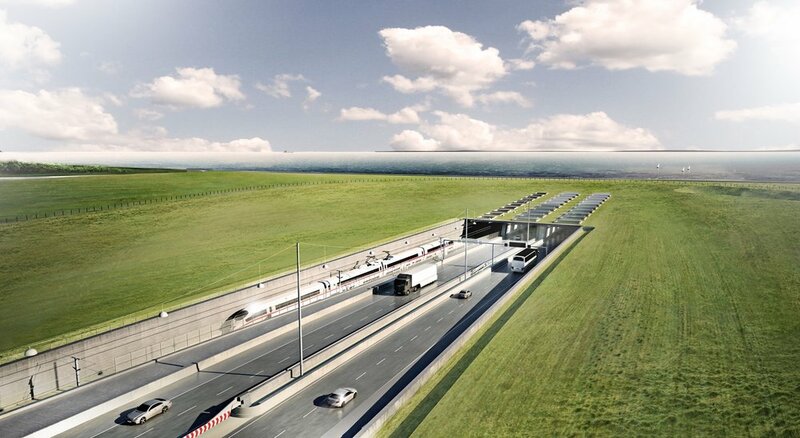 With completion planned for 2028, the tunnel will be 18 kilometres long and will link Puttgarden on the German island of Fehmarn to Rødbyhavn, on the south coast of the Danish island of Lolland, and the journey through the tunnel will take 10 minutes in a car and 7 minutes for the train. 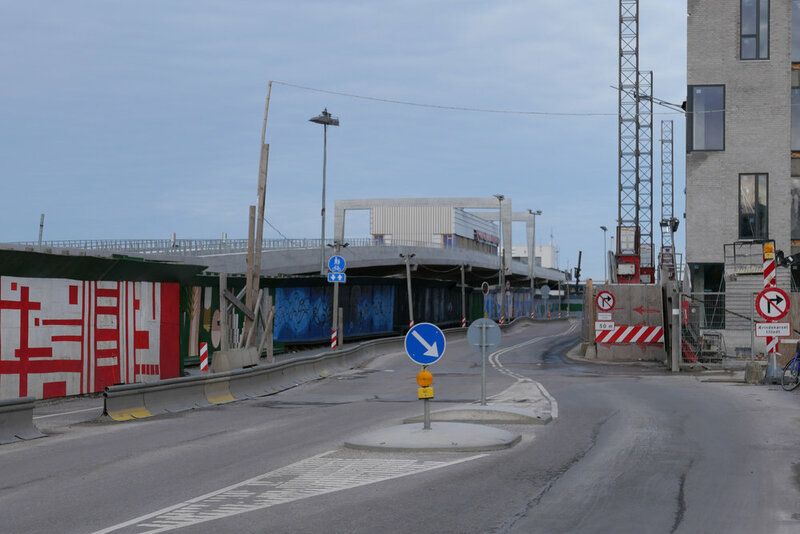 Many make the trip across now by using the regular ferry service but for heavy freight traffic - now taken up through Jylland/Jutland and across the bridges linking to Fyn and then on to Sjælland - the tunnel will shorten the journey by 160 kilometres. 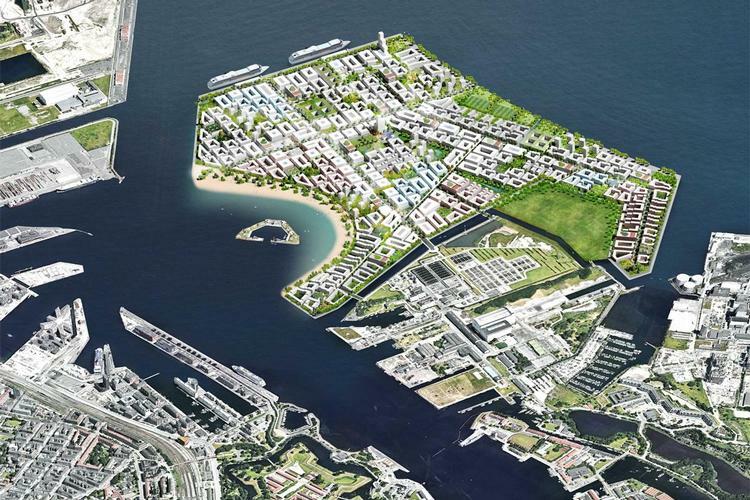 This may mean more tourists will arrive in Copenhagen by car but the real impact will be for commercial traffic and therefore, of course, for the development of the region of eastern Denmark and the south part of Sweden. Already on the agenda is the construction of a new metro line to Malmö to run through a tunnel parallel to the Øresund bridge. For anyone commuting between the two cities, this would not make journey time shorter than the current rail journey over the bridge but the new Femern link between Germany and Denmark will mean many more freight trains crossing to and from Sweden so a metro link would relieve some of the pressure on the bridge and planners and governments are also considering a fixed link further north up the sound between Helsingør on the Danish side and Helsingborg in Sweden. 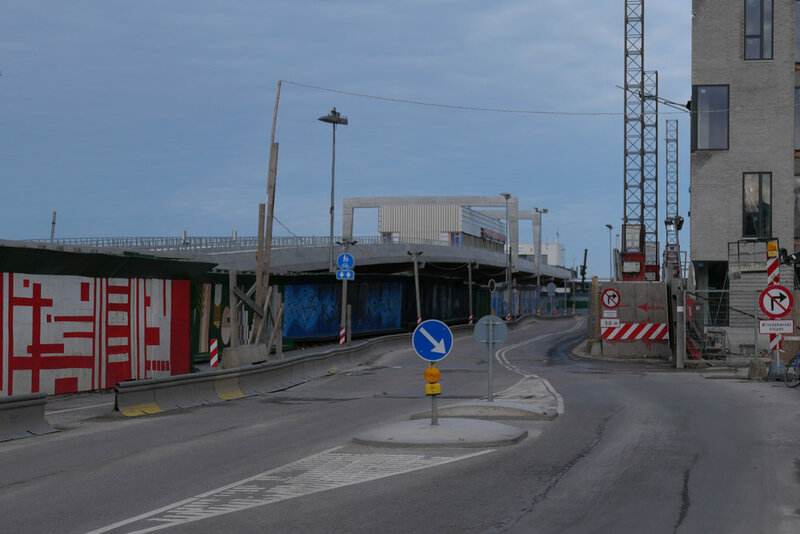 Even before the new inner-city circle line of the metro in Copenhagen has opened, there are ongoing discussions about the stage after the next stage - if you follow what I mean! Construction work is progressing fast on the spur line of the metro that will go out to Nordhavn - the north harbour district - and, eventually, on out to the cruise ship terminals and, in the other direction, the south spur down to the south harbour - the Sydhavnslinjen - is also moving forward fast with the green boarding up around the site of the excavations for the new station at Enghave Brygge near the power station. That line will continue on to Ny Ellebjerg where it will link with the main suburban train lines and both these metro lines should open in 2025. So, the next new section of metro, and still at the planning stage, could be an M6 line to form an arc across the top of the island of Amager. It would link the two original metro lines that head south down through Amager - so the M1 down to Ørestad and Vestamager through Islands Brygge and the M2 line down to the airport through Amagerbro - but will also continue west and through a tunnel to re-join the circle line and to the east, beyond a new station at Refshaleøen, the east end of the new line will also go under the harbour - either to form a link back to the new circle line at Østerport or to run north to Nordhavn. 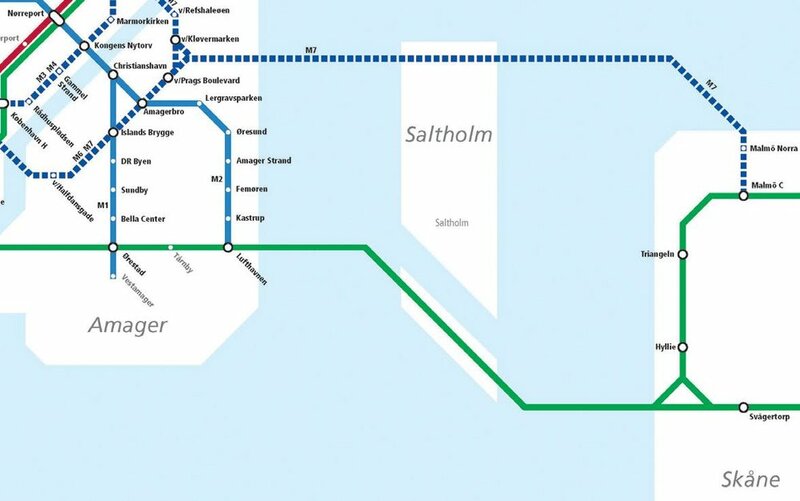 Even more ambitious are proposals for a further new line out from the M6 - an M7 line - that could take the metro under the Øresund to Malmö in a new tunnel some 22 kilometres long to be excavated on a line north of the Øresund Bridge. From Copenhagen central station to Malmö central station would then take about 23 minutes and the line could be finished and opened by 2035. Obviously, this will be another amazing engineering project in the city but, more than that, such major infrastructure will influence how the city will work in the future - so which areas will prosper and change because of these new fast transport connections - and it will form the framework for major developments and major expansion of the city through to the middle of the century and on. With the start of a new year this is clearly a time for new plans and new schemes in the city. On the 24th January, the government launched a reorganisation of public transport in Copenhagen. Metroselskabet - the company who now control the city Metro - will be combined with Movia who run city bus services and the Havnebuser or harbour ferry service. The new overarching organisation is to be called Hovestadens Offentlige Transport / Metropolitan Public Transport or HOT for short and will cover the provision of transport across 34 municipalities. Will HOT replace or at least change the responsibilities of DOT - Din Offentlige Transport / Your Public Transport that was set up in 2014? This was formed by DSB - the operators of regional trains - with Movia and Metroselskabet in order to coordinate strategy and to provide a single access point for passengers who need information about ticketing and times and so on across the system. The reorganisation appears to be a sensible attempt to coordinate transport across the city and certainly at a sensible time … so before the completion and the opening of the new inner ring of the metro. 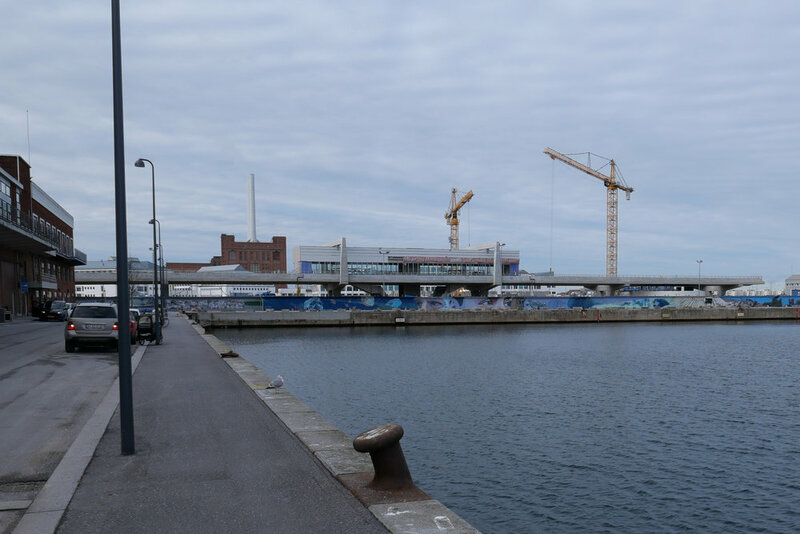 Metroselskabet was set up by the city and by the port authority and has been organised primarily for the construction work and for the completion and opening of the metro system and not for the ongoing running of the metro system. However, there has already been criticism - not least from Movia. Current transport is organised across the region - so across Sjæland - and includes the suburban rail system but at this stage, as far as I can see, the S trains will not be included in the remit of the new body. Some have also been critical because this does not include any new money so seems to be simply about co-ordination and synchronisation and does not tackle capacity or improvements as such with no provision for additional equipment. This is important because the current metro line is running at almost full capacity … good in terms of the economics but not so good for passenger comfort. To be fair, it may well be better to make further decisions after the new metro line opens this summer because the new line is bound to establish very different travel patterns for people in the city … at the very least it creates important new interchange points for swapping between one mode of transport and another and in the months after the opening will certainly reveal new congestion points in the system. 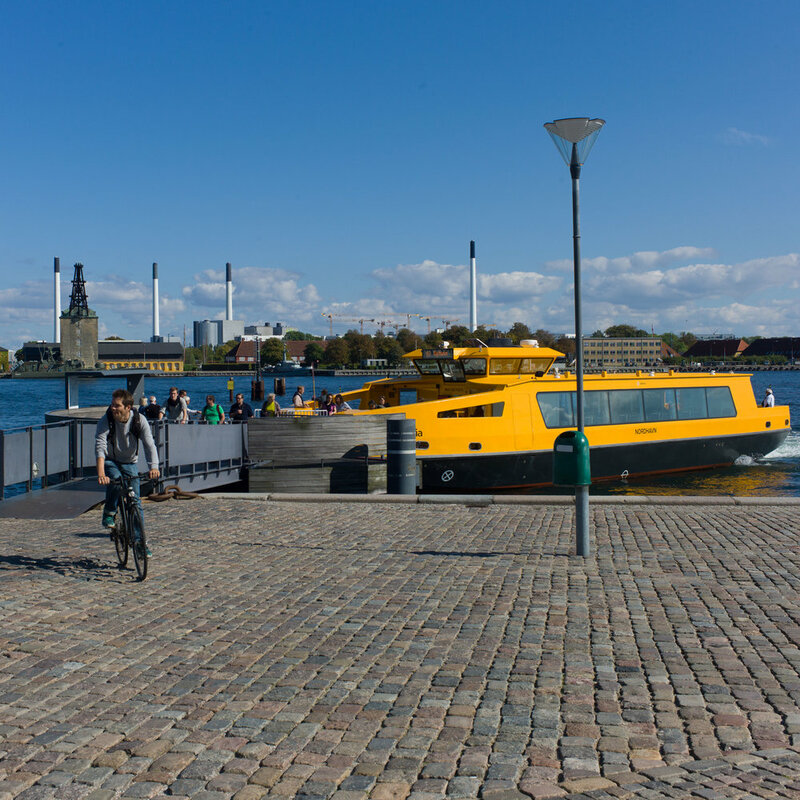 Back in June, Movia announced that new harbour ferries will go into service in January 2020. These will be electric - recharging overnight but also topping up batteries at both ends of the route at Refshaleøen and Teglholmen. The new service will run every 30 minutes. 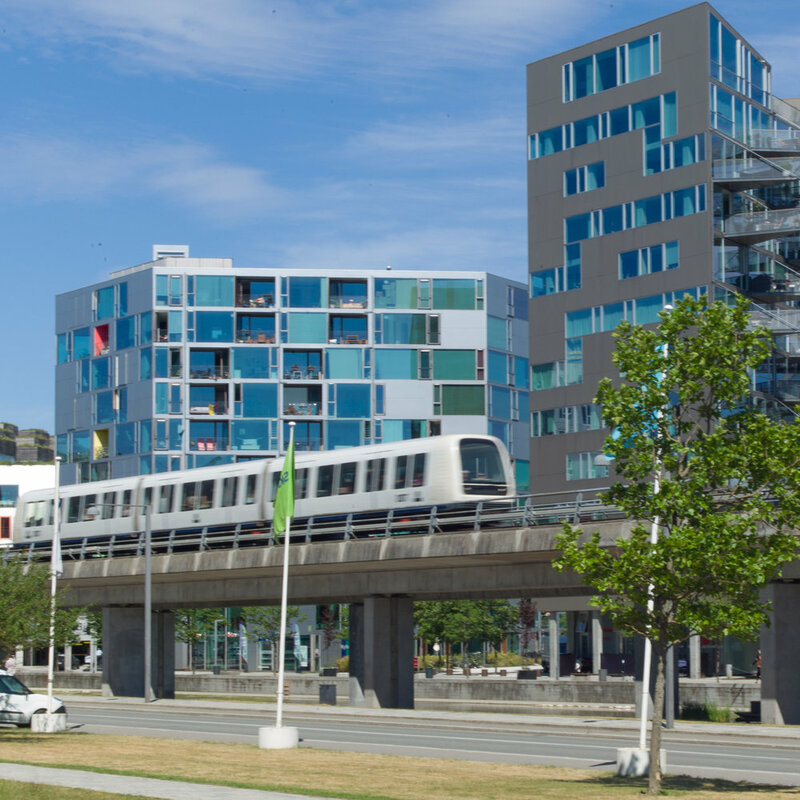 As the service carries 425,000 passengers each year, this is an important and - with so many new apartments being built at the south harbour - a significant part of the city transport system.